You can download the entire government document from the Whitehouse on PDF by clicking here. Now the short story. What are they talking about? The theory of survival in a global pandemic is surprisingly easy to understand – but surprisingly difficult to actually implement. It is a simple strategy called, “distancing”. It means, get out of the stream of humanity. Stay at home with your doors closed and locked and do not leave the house or answer the door for anyone at any time until the pandemic subsides. How long would a decent “distancing” strategy take? 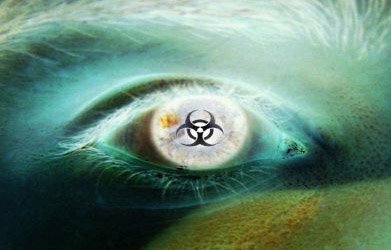 From the first announcement of the outbreak till the all clear – from two to three months on the first wave, and from two to three months on the second wave (global pandemics in the past have always come in two or even three waves). The good news is that the theory of survival is incredibly easy to understand - stay home. The bad news is that you have to have already stockpiled your food and water and medicines before it actually begins. Further, there could be interruptions in power and heating fuels, so you may need to stockpile those too. Also, most bosses are not so happy about six months or so of called in sick-days. Yes, you can definitely stay alive when Super Chicken flies in – but it won’t be easy to implement.